RMTO provides training to organisations of all sizes. Organisational privacy and security is an essential aspect of how we provide training. With over 20 years experience in Work and Occupational Health & Safety our team work with organisations across the nation to develop tailor made courses. Our course have been designed to be short, captivating, and practical. Our course include interactive features, narrators, and animations. The RMTO team were great to work with…RMTO provide a professional service on time and as agreed upon. Fast, secure and reliable online service that offers training when you need it. Each and every employee gets individual access to courses that suit their requirements. All Work and Occupational Health and Safety Training comes with a Certificate on completion. We offer free unlimited support for all our courses. Over the phone and via email. An alternative, and common options for organisation which want or require on-going course availability for large groups of users, is a personalised and private learning environment. 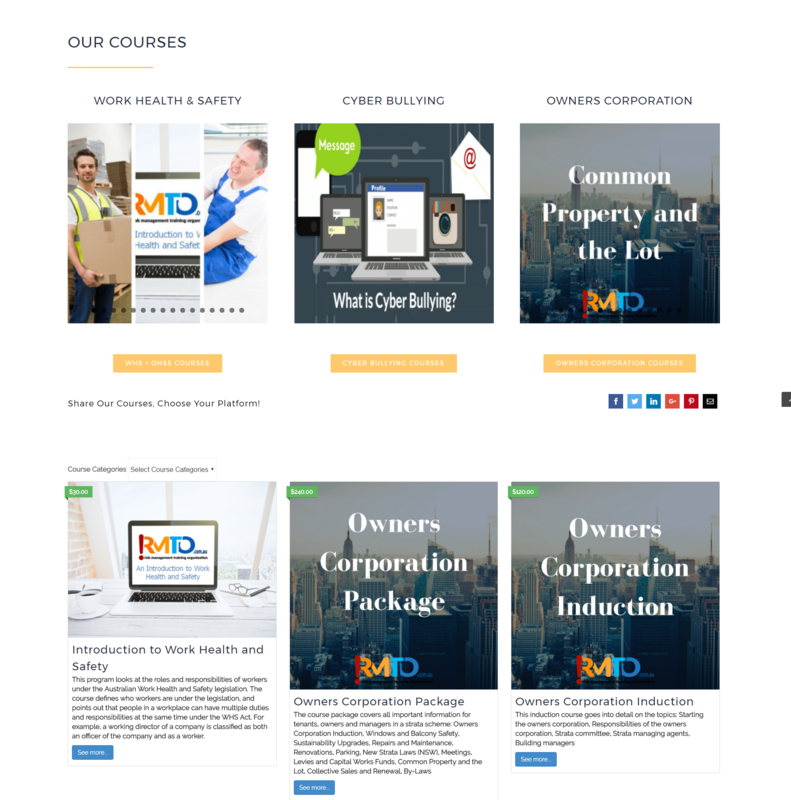 This learning environment includes custom branding, full Administration rights, oversight of user access and unlimited access for your users to courses of your choosing. The personalised website can be fully adjusted to suit your needs and requirements. The training site can contain a selection of courses or packages from the RMTO catalogue, or a mixture of catalogue and specially made courses. The training website can include a number of website features and designs to suit the organisations needs. This includes, but is not limited to, video tutorials, forums, blogs, custom Quiz’s and much more. All learning environments are completely secure in order to keep you user information safe. Interested? 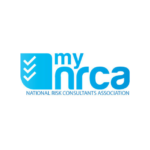 CLICK HERE to see the Private Learning Environment for the National Risk Consultants Association. The full suite of RMTO courses are available through the RMTO website for instant access and completion! All courses include the same content and course progress tracking that you receive from a learning management system! 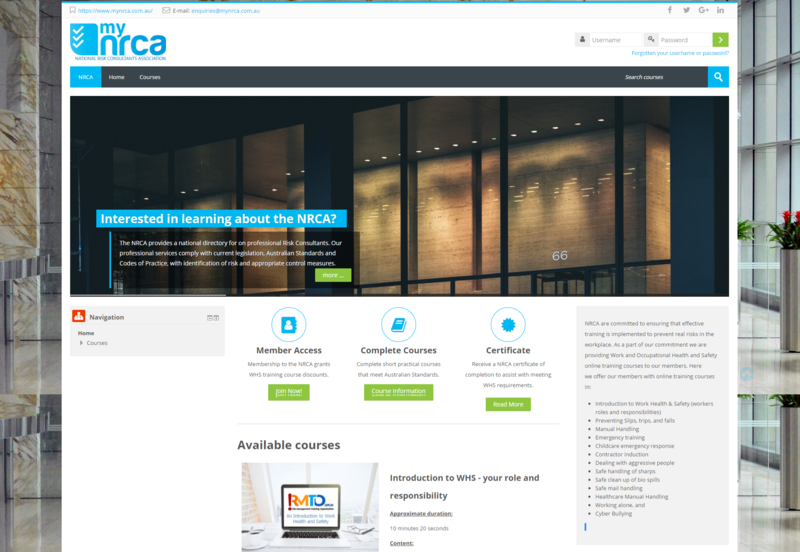 Purchasing courses via our website is great for individuals and small businesses who want instant access to Work Health & Safety, Contractor Inductions, Cyber Bullying and Owners Corporation courses. Simply pay via the secure payment gateway and get immediate access. Thinking about trying our courses for your organisation but want to see if they meet your requirements? Then contact us! The RMTO eLearning portal is a secure, reliable and effective way of providing online training. The portal provides each employee with an individual login and access training courses. Each on our eLearning course is followed by a quiz to assess the user’s understanding, with the issue of a Certificate upon successful completion. Access to the reporting tools will allow you to track progression of the users through the courses, grades on quiz’s and much more. This tool is great for recording and keeping on top of who has completed training in your organisation. The eLearning portal is the perfect option for a small and large businesses wanting to conduct online training in a quick, easy method with reduced administration and cost. 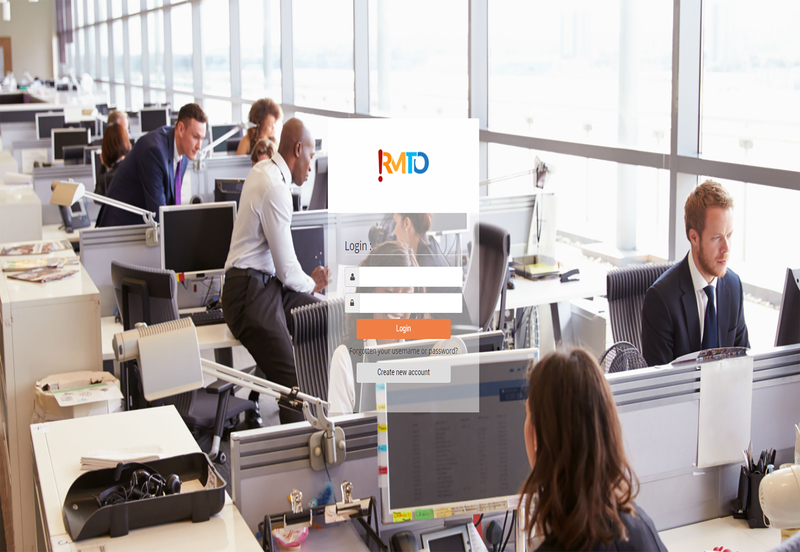 RMTO’s online training reduces the need for costly and time wasting training days, where employees are away unable to do work and can miss out on training because of prior commitments, illness or pre-approved leave. There is a short setup period for login access to our eLearning Portal.